Hi all…. I know, I know, it’s been a few months since my last update! After taking a couple months off from blogging to focus on some exciting personal projects, I’m now back feeling radiant and fresher than ever before. In fact, I’m incredibly excited because, on top of everything else, I’ve also been secretly working on a brand new ‘Missie Cindz’ digital makeover……to this blog! (more will be revealed soon). It’s going to take some time to get back into the routine so please bear with me and my spotty posting efforts! 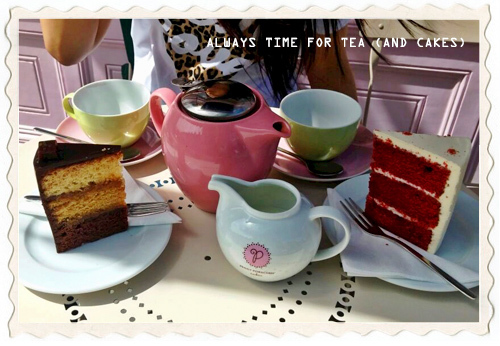 Taking some time away from the digital screen, the other day I discovered Peggy Porschen Cakes. If I’m honest, I’m not very much a girly girl (hard to believe, right?) 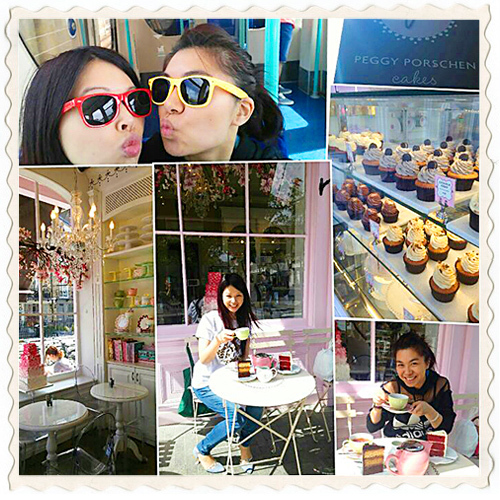 but once you enter the Peggy Porschen Bakery, oh my Cinders, pinks and pastels and all things frilly becomes your best friend! 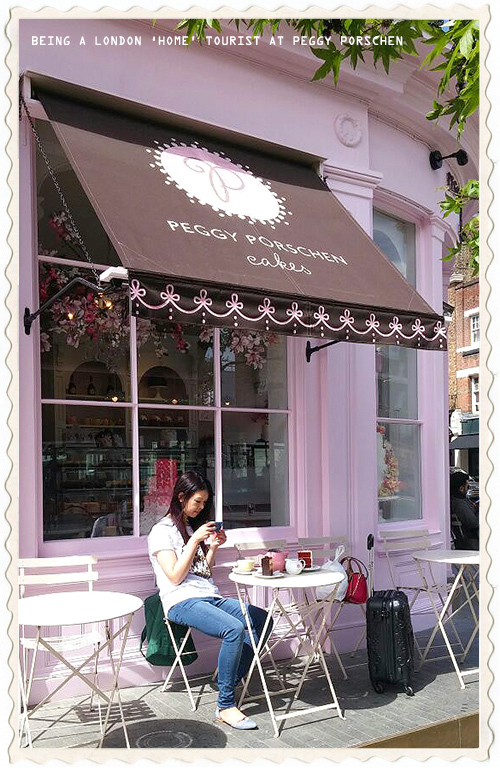 Peggy’s Porschen Cakes is a hidden (London) gem situated on Ebury Street (a short walk from Victoria Coach Station), this was my first visit and surely won’t be my last. 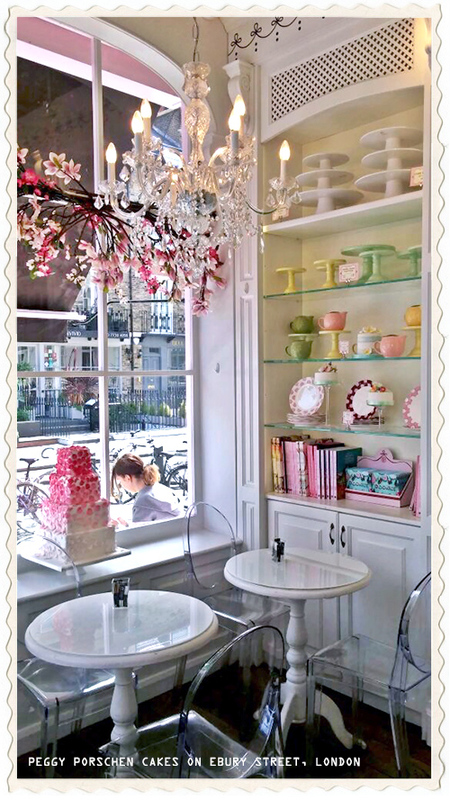 The shop itself is beautiful – pastel pinks on almost everything, a place for baking lovers – shelves filled with cookbooks and accessories, edible gifts and kitchenware. It is quite a small shop so I would imagine it must get pretty busy at times with the limited seating available inside but we were quite happy to sit outside in the glorious sunshine. There’s something nice about outdoor seating in the sunshine helping to make pleasant morning chats and people watching that little bit more enjoyable.